Pro-Line Fugitive 1/5 Truck Tires were developed to be the longest lasting race tire ever produced while still being quick and agile. In the past, the prevailing knowledge for creating a tire that lasted throughout the long A-Mains in extreme wear conditions was to design a big and tall tire tread that was spaced out. While this was effective for the day, the tall and stiff tread numbed out the handling and didn’t have the speed of the smaller pin race tires. Pro-Line’s Fugitive tire sets the standard for wear and performance with a whole new design philosophy - small, tightly packed pins that can handle the abuse of being run by heavy 1:5 machines. 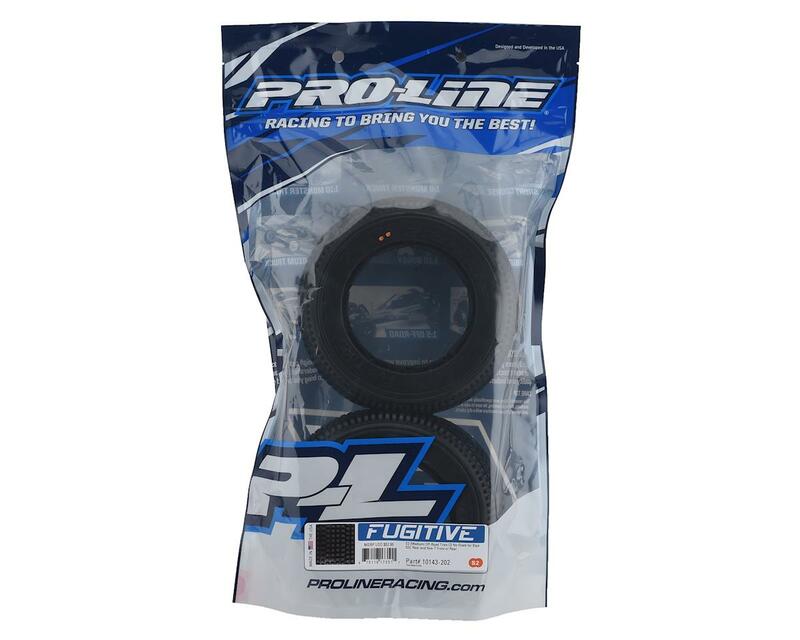 When combined with Pro-Line’s incredible X-Compounds, the Fugitive has the best performance to cost ratio making it perfect for long 1:5 Mains! 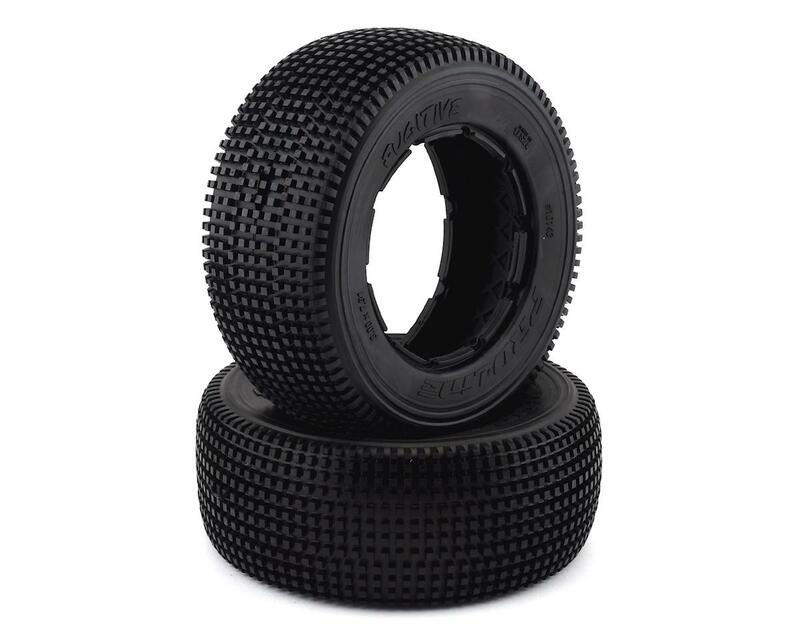 NOTE: This tire works with HPI 5T Rear Foam (Part HPI4818) and Losi 5ive-T Front or Rear Foam (Part # LOSB7241).